In the case of user input of geometry it is necessary to enter values of sectional (A,I) and material (E,G) properties. 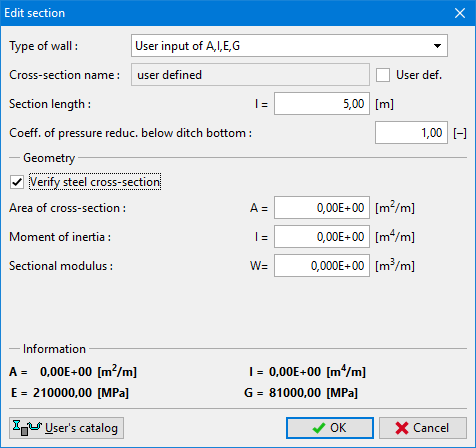 In the case of verification of steel cross-section (check box "Verify steel cross-section") the input of value of sectional modulus (W) is required. Material parameters (E, G) are then transfered from the frame "Material". 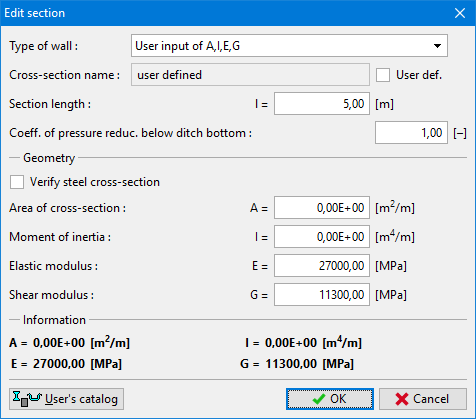 The cross-section can be verified only for bending + compression.